OK so you have a great web site. But with over a hundred million web sites out there it can be hard for your web site to get found. Fortunately we have a technology to get you first page rankings. But what if your customers, patients or clients are local? Not to worry. We can pinpoint your search results so that only people in your geographic area will find you. This is perfect for the auto dealer, the doctor, tradesperson, and professional. Think people don't really use the web to find what they want? Think again. Over 200 million web searches are done every day. And close to half of these searchers are looking for local merchants. Just think of your local internet café. 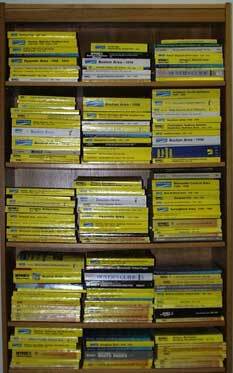 How many people are sitting there flipping through Yellow Pages directories? 54% of search users have substituted Internet/search for the phone book1. Yellow Pages, traditional advertising, and promotional materials are all part of your advertising strategy. But in today's world you must consider your web site and search engine marketing as central elements to that strategy. There are no guarantees with any advertising, including search engine marketing. We have the experience to know what works and what doesn't. And we have the tools to provide feedback, accountability, and to fix what needs to be adjusted.